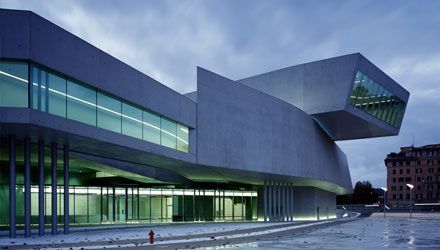 Joseph Pasquale took part in the conference organized by ICE (Italian Trade Agency) at the MAXXI in Rome on the theme "Italy-China dialogue on architecture and design”. Together with Massimiliano Fuksas, Marco Casamonti, Enzo Eusebi, and Chen Wu, moderated by mr Antonino Laspina (director of ICE office in Beijing) have been launched ideas and proposals to enhance dialogue and exchanges between the two countries. Joseph Pasquale emphasized that the specificity of Italian architecture consists of a deep capacity for contemporary interpretation of historical and cultural tradition. The actual chinese pursue for its own specific cultural identity, after decades of taking too hasty westerners stereotypes and Americans in particular, makes it very useful and full of learning for both parties, the cultural exchange with the Italian architects. Joseph Pasquale launched at ICE and colleagues present the proposal to establish a sort of manifesto/exhibition for Italian Chinese cultural sustainability in architecture to the rediscovery of Chinese culture in the twenty-first century.